At the conclusion of what will be a three-part essay, Fr Eugene Stockton concludes: "Our present need is not simply for more priests, but for priests alive to their charisms and ready to co-operate with other charisms of leadership/service within the community". Eugene is a still active albeit a supposedly 'retired' priest who, in this essay – originally written in 1982 – provides an interesting and informed historical explanation of the evolution of the modern priesthood and, in the concluding part of his essay, will be arguing how the priesthood might be renewed for continuing service to human society in the future. Changes in society have brought anxiety to priests, as to other classes of people: in the wake of stress on the priesthood of the faithful there has come a crisis of identity in the ministerial priesthood. Increasing materialism and media impact have drowned the voice of the priest; greater lay involvement in Church affairs has questioned the priests' authority in the religious sphere; the exercise of charisms by layfolk is often seen as more effective than corresponding activities traditionally reserved to priests; priests themselves frequently feel the lack of power in their ministries. The following is an investigation of the biblical foundations of the identity and charisms of the priesthood, in the hopes of saying something positive to the priests of today, as indeed to other religious leaders and to laity concerned for the priesthood. This enquiry is not a simple task, because historically the priesthood has been a highly fluid office and by the end of the New Testament period it had not evolved to anything near to the priesthood as we now know it. However, we can look at the biblical antecedents for the office as it exists in the church today. The High Priesthood of Christ, as described in Hebrews, was understood in the sense of the Old Testament high priesthood. (J. L. Mackenzie stresses the influence of Hebrews on the formation of the Christian priesthood, Dictionary of the Bible, p. 692). The priesthood of the Christian People [1 Pet. 2:5, 9; Rev. 1:6; 5:10; 20:6] was understood in the sense in which Israel was considered a kingdom of priests [Ex. 19:6]. The tension between priestly class and priestly people is similar in Old and New Dispensations. After Pentecost many Jewish priests became Christians [Acts 6:7], the Church then was not considered separate from Judaism, so presumably the convert priests would have retained their status and hence there was a possibility of continuity between Old Testament and New Testament priesthood. (This could have paralleled the Qumran situation, i.e. of a priestly community grouped around a priestly core, the priests being cut off from the temple cult but playing a leading role in the ritual, eschatological meal). 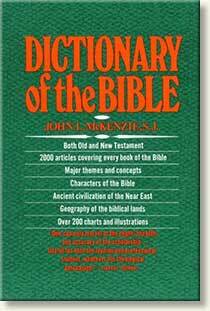 John L Mckenzie's Dictionary of the Bible is available from Amazon. 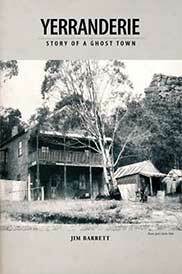 Click the image above for more information. Sacrifice and other Temple services [Deut. 33:10 et al.]. Instruction in the Law, the revealed will of God [Deut. 33:10; Jer. 2:8; Hos. 4:4-6; Mal. 2:1-9; Ezek. 22:26; 44:23-24]. Consulting the will of God in particular questions (oracular Urim and Thummim) [Dent. 33:7-11; Judg. 18:5; 1 Sam. 14:41; 28:6]. The importance of each function varied with the fortunes of the nation: cultic functions centred on the temple were the more prominent during the monarchy; in Exile the accent shifted from temple service to teaching; with the restoration of the temple after the exile, priests resumed cultic functions, while scribes took over more and more responsibility for law instruction; by New Testament times priests retained the important task of distinguishing between the clean and unclean [Mk. 1:44; Lk. 5:14; 17:14; Hag. 2:10-14]. the hereditary institution of the Shepherd-King [cf. Ezek. 34], itself succeeding to the charismatic office of Judge. During and after the Exile, the priesthood occasionally overlapped with the prophetic office [e.g. Jeremiah, Ezekiel, Zechariah], until the latter ceased altogether from Israel. The office of shepherding Israel muddled through this turbulent period without a stable institutional basis, until it was coupled with the priesthood in the post-exilic office of the High Priest. This pronounced variability in the scope and functions of the Old Testament priesthood suggests that the priesthood was not something which could be defined by function, but rather a state of being which could flow into various appropriate activities as the need arose. A similar conclusion derives from a situation which (as in modern times) might initially appear to have threatened the identity of the priesthood, but which in fact went far to clarify it: this was the tension between the institutional priesthood and the general priesthood of the people. In Ex. 19:6 the covenant people were called to be "a kingdom of priests, a holy nation"; similarly in Lev. 19:2 et al, "You shall he holy, for I the Lord your God am holy". Israel was set apart from the profane (i.e. other nations), belonging to God, serving him by true cult. Yet in a sense it was meant to be intermediate between God and other nations — hence the frequent condemnation of Israel in Ezekiel for "profaning the holy name of God among other nations" — i.e. for not carrying out its intermediary role of holiness before the nations. What Israel was meant to be among the nations, the priestly class was meant to be within Israel: a core or focus of holiness, a point of contact between the human and the all holy, a stable institution ensuring the holiness of the holy people. The priestly functions, various though they were through history, were means of keeping the holy people holy. Hence the importance, not only of cultic activities, but also of those revealing God's will (both instructional and oracular) and of distinguishing between the clean and unclean. 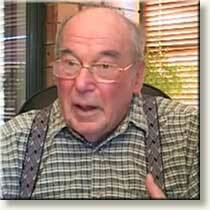 Eugene Stockton. Submitted to Catholica 06 Sep 2013. Less than 100 kilometres from Sydney lies a relic of pioneering Australia. Yerranderie is a gracious, unhurried, old world place. It is set in an unspoiled world of high sandstone mesas and deep, deep valleys. It is a combination that can do nothing else but charm the visitor who will just let it all sink in.